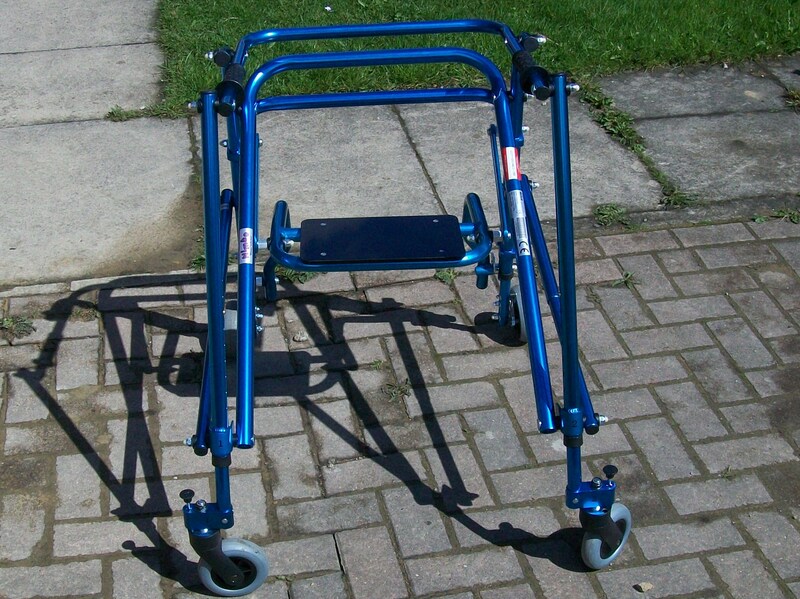 Well, I think that my Nimbo walking frame Martha could be in need of a little TLC if our little trip out last week is anything to go by. We’ve had quite a bit of rain lately and now her seat doesn’t seem to be sliding up and down nearly as well as it was doing. In fact, at one point I popped the seat down while I was waiting to meet a friend, and when my pal arrived I found that I couldn’t tug it back into an upright position again. This hadn’t happened to me before so I was a little bit worried because when the seat is down it takes up most of the space in the centre of the frame. This makes walking slightly more uncomfortable and harder than usual. Thankfully, my mate must have had her Weetabix that morning because she did it for me. I’m not sure what I’d have done if I’d been on my own though. At least it should be fairly easy to sort out. I like to think that I take pretty good care of my equipment that I get from the hospital. Yes, it’s always well-used by the time I give it back but there’s not very much I can do about that. I use it every day so it would be virtually impossible for there to be no signs of general wear and tear. I store it well and get it serviced when I need to. On the whole I’d say that I probably get my wheelchair looked at once a year, and I get a physiotherapist to look at my frame to see if there are an obvious problems that need addressing each time I start a new cycle of appointments. Lately I’ve noticed that whenever I try to walk uphill, my frame sometimes makes a noise that I can only describe as a cross between a wheeze and a squeak. I’m hoping this is down to the wet weather. I guess I just need to wait for a fine day so that I can go outside with the oil/WD40 can and hope that that should make Martha happier.